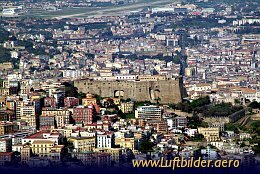 The Phlegrean Fields cover an area of 150 sqkm around Naples. 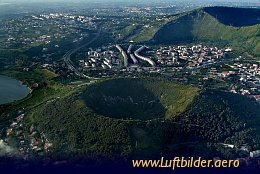 Volcanic craters are evidences of the volcanic activity in this region. Construction of the fort was started in 1343 under Robertos de Anjou. It was then used as a dungeon. 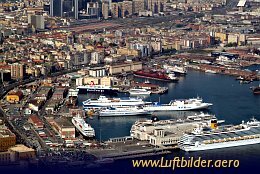 From Naples Harbour ferry boats go to Ischia, Capri, Sorrent, Palermo and Cagliari on Sardinia.